A long time coming... that's the most evident statement I can make about Iron Claw's first record. I don't know much about this band, only that they are a Scottish hard rock band that got started back in the late sixties, did a lot of live shows and not much recording. I might call Iron Claw a forgotten pioneer of hard rock and heavy metal. The beautiful part of this somewhat tragic story is that through all these years without any previous recordings, we are finally getting (if you will) a fresh taste of what was, before it was keyed "heavy metal". It's like a perfectly preserved fossil, fairly unknown until the crew over at Ripple Music got in touch with Iron Claw. Now, we are all lucky enough to get a taste. What you can expect from A Different Game is guitar driven, blues infused hard rock with a southern twist. The album opener "What Love Left" is written for driving, you can feel the heat of the asphalt and see the painted lines blur. "Southern Skies" is a fine example of taking that classic hard rock from the UK and adding some Georgia peaches. "See Them Fall" kills with a lightning guitar lick and heavy bass-line. The band also balances the album out well with the addition of a few ballads (Love Is Blind, Closing In). 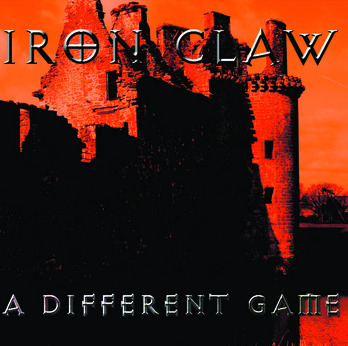 Now-a-days, Iron Claw will be classified as classic rock with the likes of Deep Purple, Nazareth, and Mountain. Iron Claw brings nothing groundbreaking to the modern metal table, but push rewind... back to a time when it wasn't so easy to get your sound out, and what these Scotsmen have created is in a word: electric. On a side note, isn't that album artwork awesome!? Great band! Their track Rock Band Blues is extremely cool! Thanks for the review, it was a blast making the album.